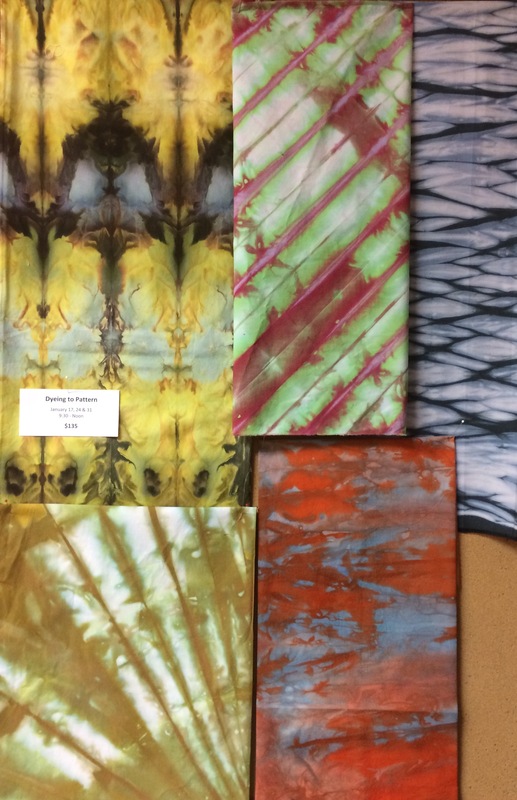 This workshop has been developed for those wishing to learn basic colour mixing theory using Procion MX dyes, the standard dye for all cellulose based fabrics and suitable for cotton, linen, silk and more. Projects will include simple colour gradations, colour to colour runs, creating neutrals and the development of a range of fabrics and threads using a planned palette showing value, tints and shades. Dye recipes will be recorded, we will learn how to reproduce colour choices and there will be a focus on safe studio habits. We will make patterns on fabrics using both compression and applied resist methods as well as simple patterning with stitch. Time will be spent on creating fabric with specific needs in mind and then finish with a palette of your choice, ready to be used for a variety of art, textile and craft projects.